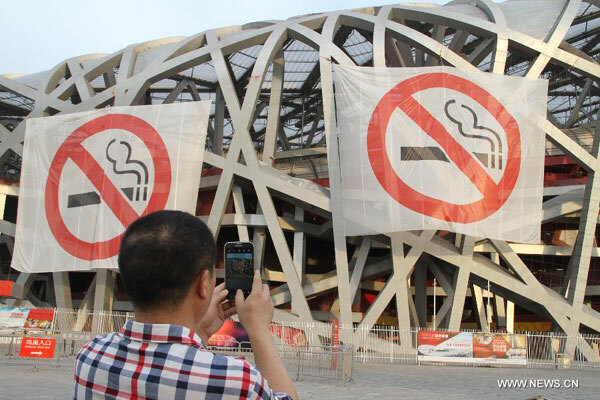 One in three public venues inspected by the Beijing Health Inspection Institute had violated the city's tough indoor smoking ban in its first week since it took effect on June 1. According to a recent report by the public health authority showed that among the 2,406 public places that were inspected, nearly 700 were given warnings and were ordered to take prompt corrective action. 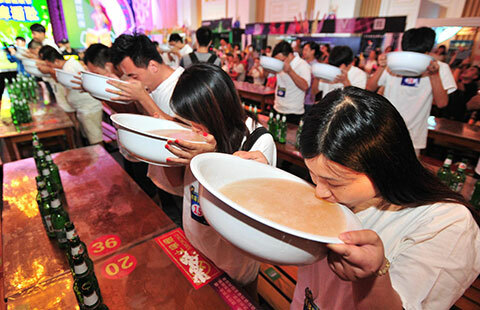 Restaurants were the biggest culprits, with the highest rate of violations. Around 60% of the inspected diners had not enforced the smoking ban in their premises. Entertainment venues and hotels also top the list of institutions that have problems with curtailing indoor smoking. Fifteen hospitals in Beijing, including Tiantan Hospital, Xuanwu Hospital and other major medical institutions, have also received warnings. An official with the Beijing Health Inspection Institute says those hospitals failed to post standard anti-smoking signs and set up hotlines for the public to report any violations. Meanwhile, the hospitals have not maintained any self-inspection records with regard to implementing the smoking ban and some cigarette ends were found in the toilets. The municipal health authorities also issued more than 280 warnings to individual smokers during their inspection tours. According to the public report on smoking control in Beijing and the supervision hotline, more than 100 cases were reported every day during the first week since the new smoking ban kicked in. China's toughest ban on indoor smoking came into effect in Beijing on June 1. It prohibits smoking in all indoor areas including public places, workplaces and on public transportation facilities.